BRUSSELS — It sounds strange to characterize the North Atlantic Treaty Organization as a huge gun club, but the comparison can be useful in understanding the world's biggest military alliance. This club, with ITS main headquarters in Brussels and military HQ in Mons, Belgium, is open to any European nation that wants to join and can meet the requirements and obligations. Montenegro is set to join soon. Bosnia-Herzegovina, Georgia and Macedonia are waiting in line. Smaller allies long to train and work with U.S. forces because it gives them access to equipment and expertise they can't afford alone. 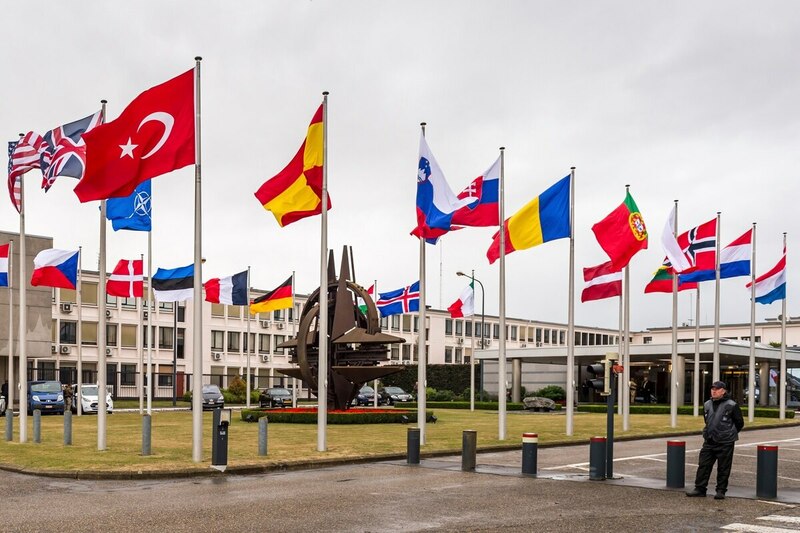 The alliance's meetings — the North Atlantic Council, held at ambassadorial level almost weekly in Brussels, less often at the level of ministers or heads of state and government — are chaired by NATO Secretary-General Jens Stoltenberg. He doesn't order the allies around. His job is to encourage consensus and speak on their behalf publicly as a single voice representing all 28 members. On the ground, NATO has notably helped to keep peace in the Balkans and combat the Taliban-led insurgency in war-torn Afghanistan — the alliance's biggest ever operation, launched after the United States triggered its "all for one and one for all" common defense clause in the wake of the Sept. 11 attacks. HOW MUCH SHOULD NATO DEFENSE COST? President Donald Trump said Thursday that member states should be bound to spend at least pay 2 percent of their gross domestic product on defense. Only five members currently meet the target: Britain, Estonia, debt-laden Greece, Poland and the United States, which spends more than all the other allies combined. In the wake of years of defense cuts, budgets are getting slowly back on the rise. The 28 member nations, plus soon-to-join Montenegro, are committed to spend 2 percent of GDP on defense by 2024. Still, many are skeptical about this arbitrary bottom line that takes no account of effective military spending where it's needed most. Germany would have to virtually double its military budget and spend more than Russia. In the European Union, the member nations now spend an average of 1.34 percent on defense, compared to 3.6 percent in the United States. Beyond an increase in spending, the EU is now making active efforts to cooperate more between nations to eliminate what it sees as up to 100 billion a year in wasteful overlap.